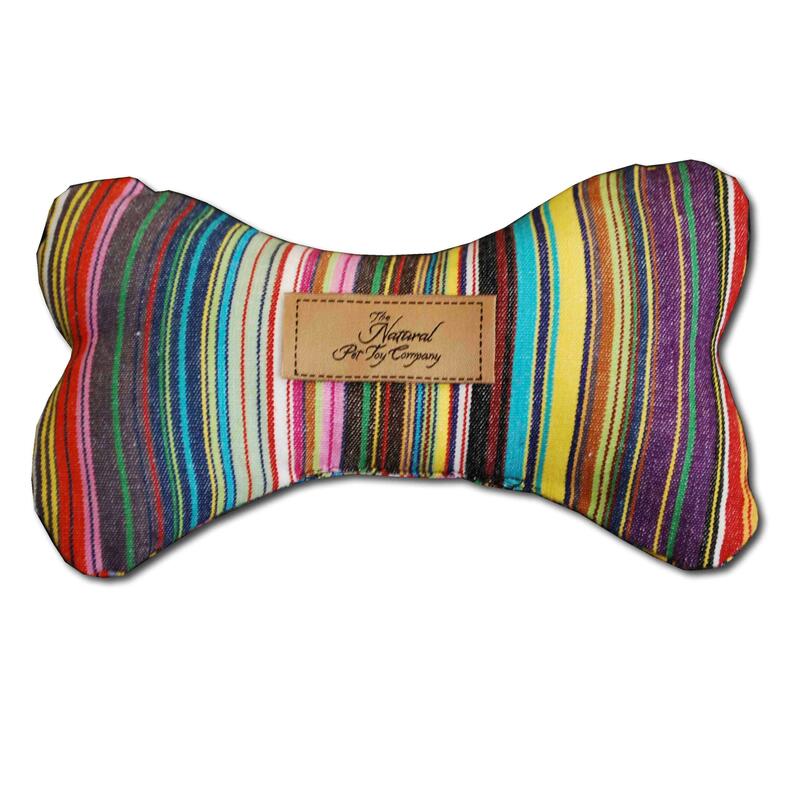 Our luxury fabric bone toys for dogs contain pure anise (aniseed herb). This sweet smelling herb is very attractive to dogs and is sure to delight them. 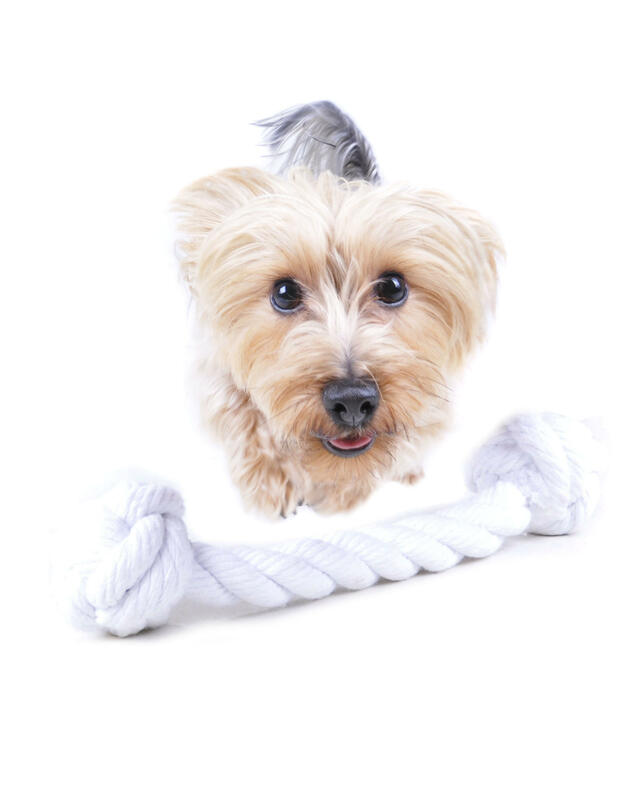 The bone's shape makes it the perfect toy for dogs who like to carry their toys or for dogs who like to play fetch. 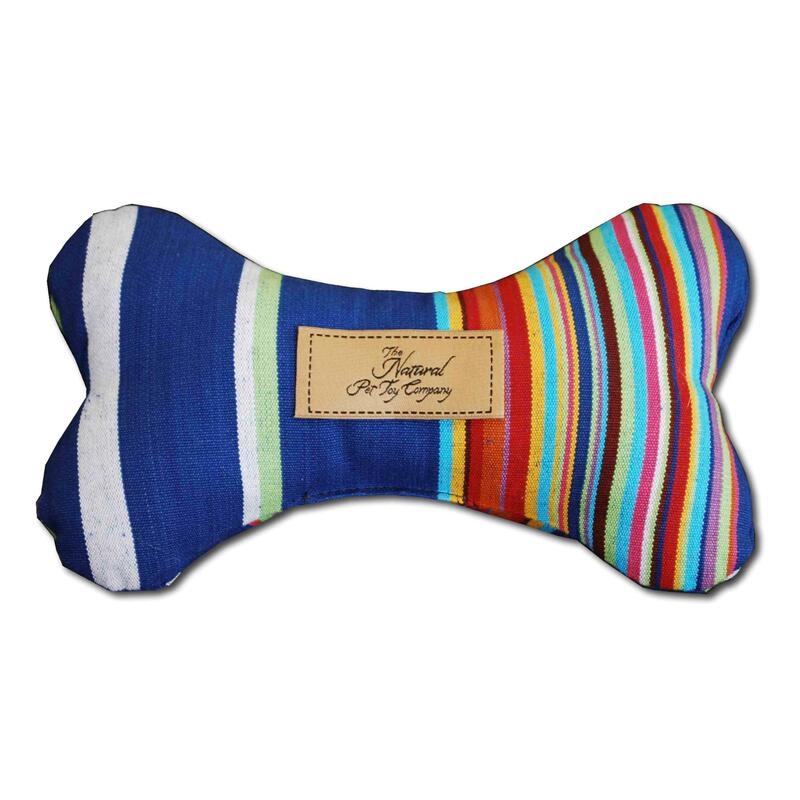 The fabric we use to make these dog toys is as robust as possible but not invincible, so please supervise your pet whilst playing. Beautiful and stylish striped cotton fabric. 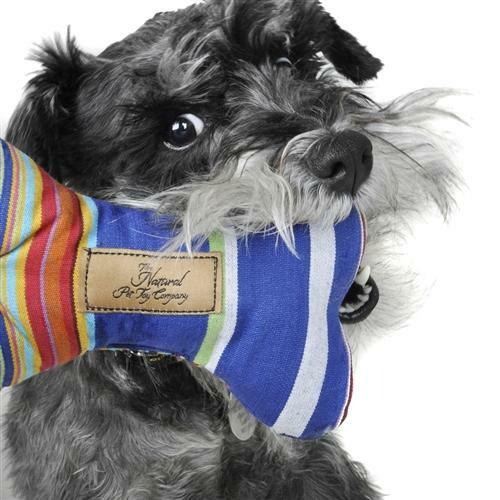 Size: This dog toy measures 18cm x 11cm (approx). Many thanks for the "new" herby bone - a massive hit with Penny! She hasn't been too well recently, lots of tests etc as she was very lethargic, and we found she has Addinsons disease which affects the adrenal gland. So with some pills (steroids) she is feeling much better, but a bit hyper! We may have reduce the dosage. Anyway, in the circumstances you can imagine how excited she is with the new bone and how she plays with it. Dinny adores her new toy, she takes it into the garden to throw in the air and catch it - she does this in the house too - it's lovely to see her having so much fun. thought it may have been a bit bigger. I was not sure how my 21month old Golden Retriever would take to this; she can destroy most toys! But she absolutely loves this, she lies on her back with this between her front paws and inhales it for ages! One of the best toys I've bought for her. My miniature schnauzer puppy (who likes to destroy toys within a moment) adores this bone, and I think the smell really calms her down!! It's also really pretty and well made. These beautifully crafted and attractive soft toys smell wonderful - I can't stop sniffing them! Unfortunately I can't say the same for my two whippets who, after an initial sniff and chew, have not taken the slightest bit of notice since. Kiki prefers to chew on a blanket. Maybe the scent of aniseed just doesn't do it for them. Our family pup adores this bone, though i do have to purchase them annually as they would need to be armour plated to last any longer. I recommend them for any man's best friend, he/she deserves a treat for all the love they give us. As always great and prompt service. Thanks. Lovely looking item but our cockapoo chewed it immediately.